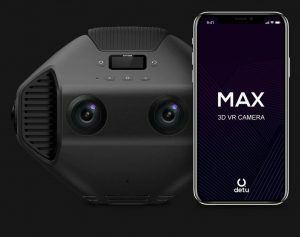 Detu Max, an 8K 3D 360 camera, is launching on Kickstarter tomorrow, according to an inside source within Detu. 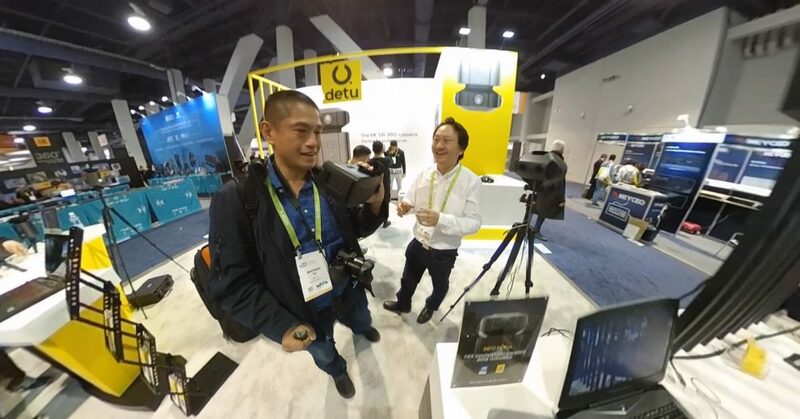 They didn’t tell me the price, but given Detu’s history, I believe they will attempt to undercut their competitors for professional 360 cameras, such as Insta360, Kandao, and Z-Cam. I first posted about Detu Max here, where I discussed its AI capabilities, including 3D models, with floorplans and dollhouse modes. At that time, their representative said the price would be around $4,000. That is less than half the price of the Z-Cam V1 ($8,880) which is a 7K 3D 360 camera, and substantially less than the price of the Kandao Obsidian R ($6,999) which is another 8K 3D 360 camera. It is almost the same price as the Insta360 Pro ($3,499) which can shoot 3D 360, but only at 6K resolution. The note I got from them today says the SRP would be $3600.00 but the super early bird price will be an amazing $2200.00. It’s still too much for me at the moment but definitely an exceptional price for what is offered if one can afford it. I do hope they show more clips taken with the camera. Detu max seems to be a good product, but the problem is how relevant it is!? It should be great to be available worldwide! Good article. Detu informed me, at this stage MAX has no 3D modelling function. Hopefully this will be a update in the near future.Still looking forward to getting mine, while I wait can anyone suggest editing software I could around with? I have some Max sample footage downloaded already.